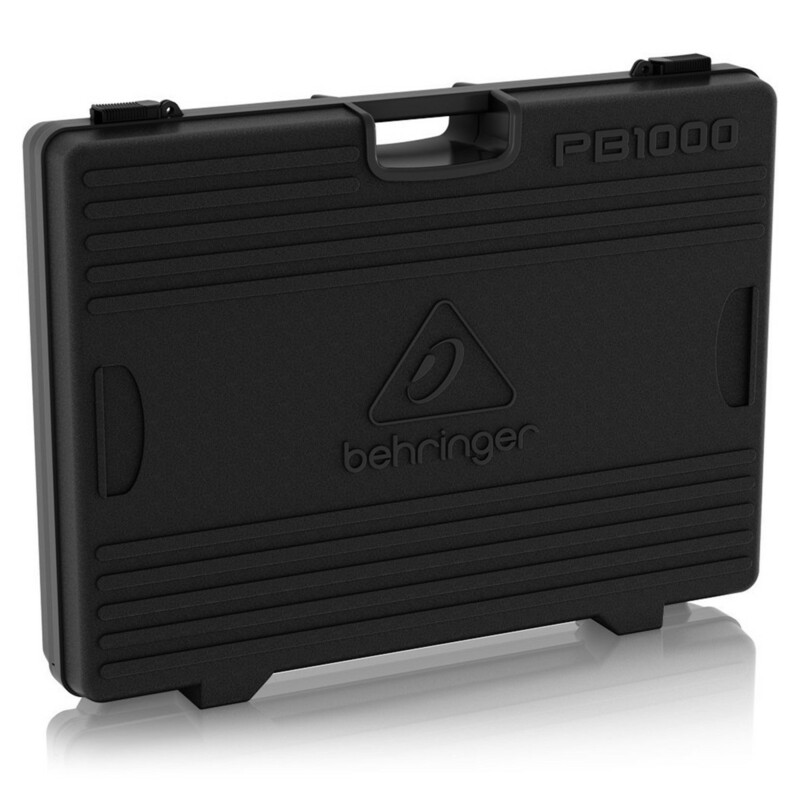 The Behringer PB1000 Universal Pedal Board features a durable suitcase-style design that provides superior protection and space for up to twelve guitar effects pedals. 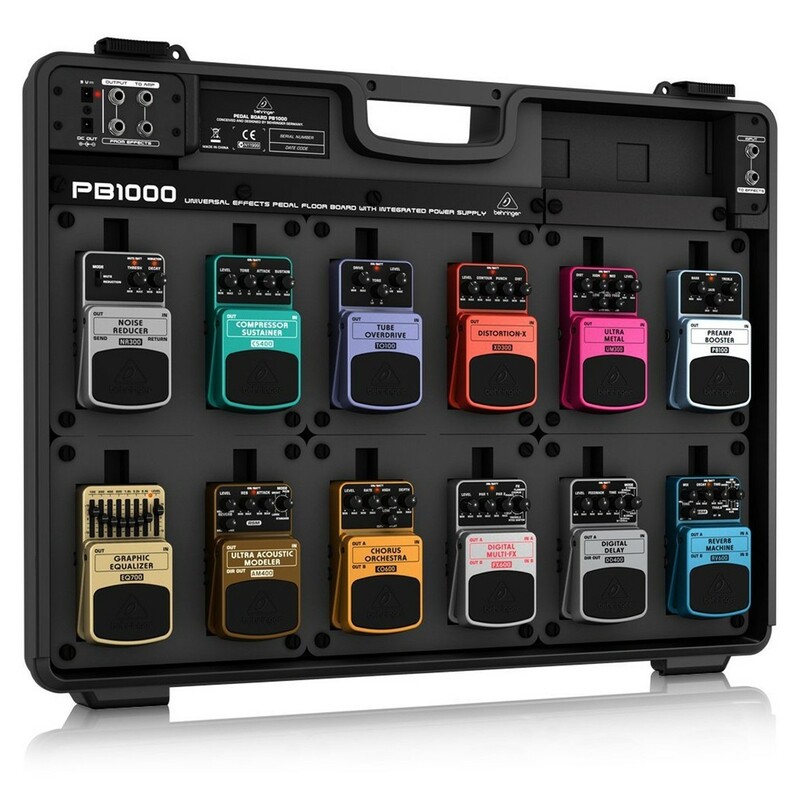 Supplied with daisy-chaining audio and power cables, the PB1000 allows you to connect all of your pedals together and be ready to perform at a moment's notice. 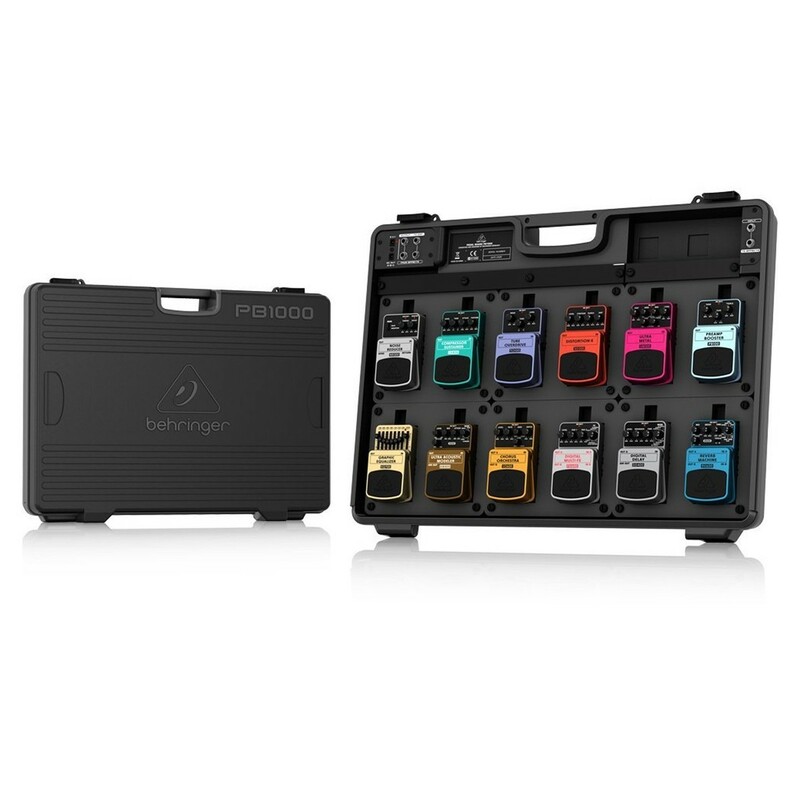 Please Note: This images shown are for display purposes only and the effects pedals are not included with this Behringer pedal board. 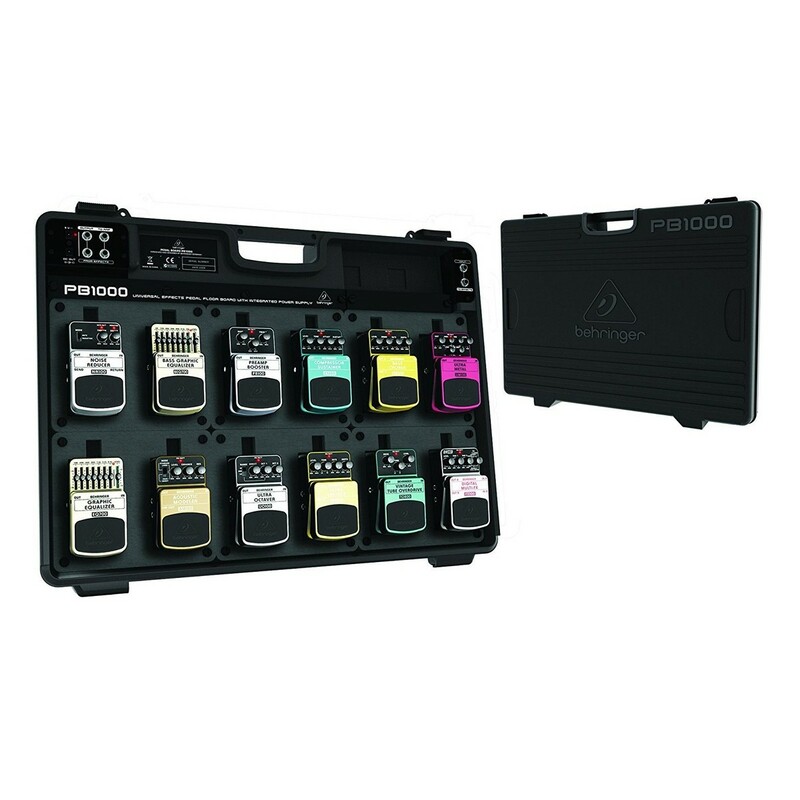 The PB1000 pedal board is capable of accommodating up to twelve 2.5" x 4.5" pedals and it is as easy as hooking up just one (of course, if you're using pedals that aren't 2.5" x 4.5", the snug foam padding can be cut to accommodate pedals of varying shapes). The Behringer PB1000 includes 1/4" patch cables, so you can leave your pedals connected to one another, ready to pass signal even when you're transporting them. It also comes with 1 x 12 daisy chain cabling so that when you plug in the 1.7 A power adapter, all your pedals receive power. Connect your guitar, bass or keyboard to the single 1/4" input in the upper right corner of the board. A pair of 1/4" FROM EFFECTS jacks in the upper left corner allow you to connect stereo effects, and two 1/4" OUTPUT TO AMP jacks send a left and right stereo signal to up to two amps. When it is time to load out, just unplug the power supply, disconnect your guitar and amp, put the lid back on the PB1000 and slide the locking latches back into place. 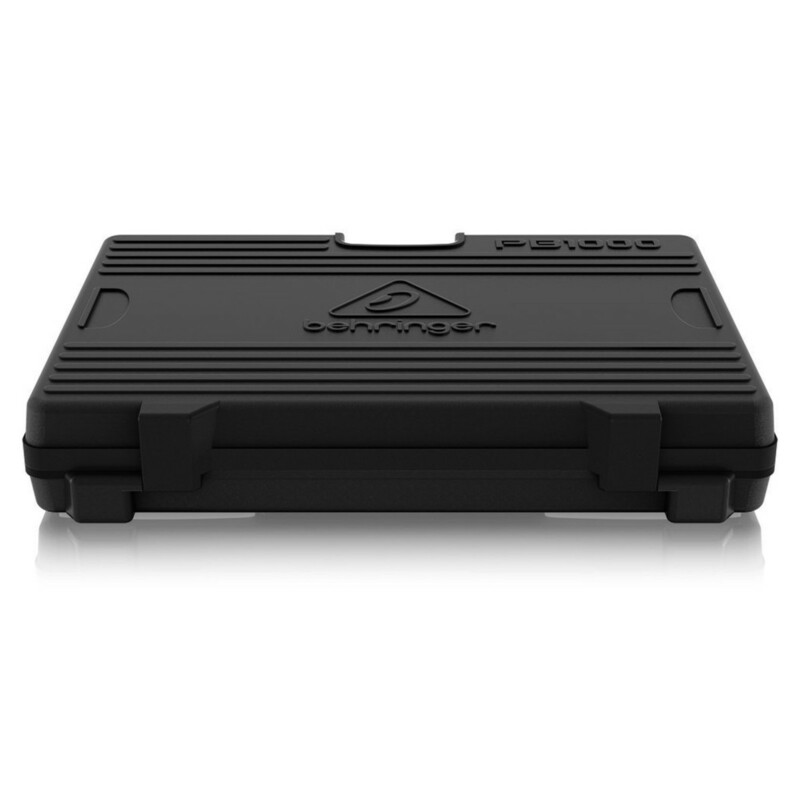 The heavy-impact plastic casing will protect your pedals from the rigours of the road.